Offer birds nutrition and energy with this Economy Blend. 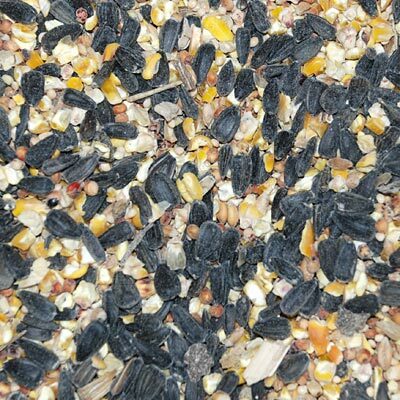 The black oil sunflower seeds entice a wide range of birds to dine, and the cracked corn is perfect for doves and quails. Milo easily attracts towhees and sparrows, particularly in the southeastern United States, for a fun feeding station. The included grit helps the birds digest the food, keeping them healthy. White millet is a favorite seed of many birds, and will certainly bring a bevy of visitors to your feeder. The mixture offers plenty of variety for songbirds, and can be placed in several different types of feeders. Feed birds a mix of their favorite seeds with this Economy Blend. Note: This Wild Bird Seed Mix, Economy Blend, is packaged in a 50 pound bag.